Opening a home door without the key is impossible unless you have the right tools and the expertise to do it right! So if you are ever in a house lockout in Uxbridge, contact our company to be sure that the job will be performed with diligence. We always hurry to assist people who find themselves stuck outside your homes. And we always assign expert and reliable locksmiths to open locked house doors. Let us ease your mind by assuring you that our company is here and ready to serve you. Available for 24 hour house lockout service in Uxbridge, Ontario, we help quickly and at all times. Just save our number and call us up if you cannot open your home door. Not only do we send qualified pros with experience in all types of home locks but locksmiths fully committed to their trade. 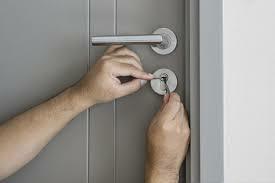 They are reliable, understand your agony, and respond quickly to help with your house lockout. Most of the times, all it’s needed is a house opening service. That’s the right thing to do when the door is locked and the key is inside the house. But you should expect the pro to be equipped to offer any service needed to solve your problem. At times, a door won’t open simply because the key is damaged or broken. The key might be stolen or just lost. Or the lock might be broken. The point here is not just to unlock the door but address the problem so that you won’t be locked out again while your home will be secure. In such cases, trust that Locksmith Uxbridge will send you a pro to extract the broken key too. We will dispatch a pro to rekey locks, change keys, and take care of any lock problem. Just let us know. 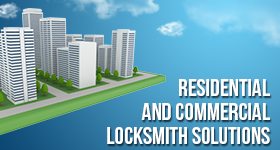 In any case, you can depend on our fast assistance and the expertise of the locksmiths. By working with the right tools and having years of combined experience, they provide the solution to your problem. So if you ever get locked out again, don’t get scared. Just call us up and expect the arrival of a pro minutes later. Contact us for an Uxbridge house lockout service 24/7.